This indicative offer was derived from the most recently booked accommodation in Sloboda and sort by the price, from cheapest Sloboda accommodation to the most expensive hotels. To select accommodation by your preferences we recommend to choose from 5 accommodation offers in Sloboda in total. By entering the dates of your overnight stay in Sloboda and using the filter tools you can sort the best possible accommodation for you. The entered dates of your stay are crucial for the most accurate offer as it derives all the online information on pricing and availability of Sloboda accommodation. 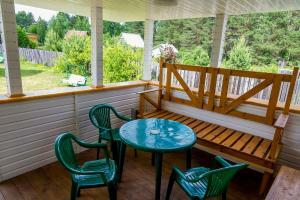 Then you can book the selected Sloboda lodging (hotels, apartments etc.) immediately. Located at the banks of Lake Seliger, in a quiet area surrounded by nature, Ekaterininskaya Sloboda features an on-site restaurant serving Russian cuising, bicycle and boat rentals, and a steam room on the banks of the lake. Rooms at the holiday home feature a TV, towels and linens, and a private bathroom with a shower. Set in a picturesque landscape of forests and hills, USeligera is located on the shores of Lake Seliger. It offers free bike rental and free Karaoke equipment. 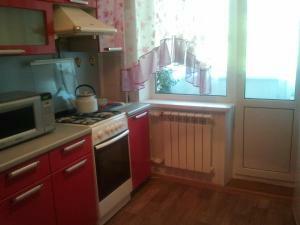 Offering free WiFi, Holiday home on Sloboda village 25a is situated on the beachfront in Sloboda. The property was built in 2010 and has accommodation with a terrace.